Set in northwest London, Zadie Smith’s brilliant tragicomic novel follows four locals—Leah, Natalie, Felix, and Nathan—as they try to make adult lives outside of Caldwell, the council estate of their childhood. In private houses and public parks, at work and at play, these Londoners inhabit a complicated place, as beautiful as it is brutal, where the thoroughfares hide the back alleys and taking the high road can sometimes lead you to a dead end. Depicting the modern urban zone—familiar to city-dwellers everywhere—NW is a quietly devastating novel of encounters, mercurial and vital, like the city itself. 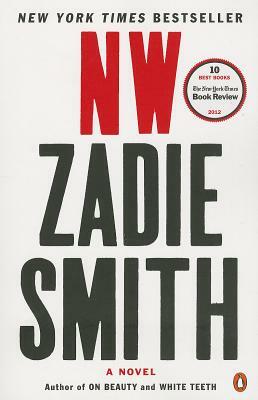 Zadie Smith was born in Northwest London in 1975 and still lives in the area. She is the author of White Teeth, The Autograph Man, On Beauty, Changing My Mind, NW, Swing Time, Feel Free, and Grand Union.